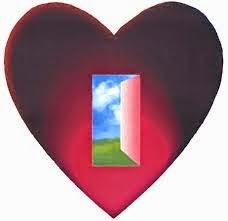 Open Hearts, Open Minds, Open Doors. It is a slogan we’ve tossed about for a while. It is catchy for sure. Most people remember it I think. I can't help but think of some of the more modern slogans. Some of these are "old" but if I say “My bologna has a first name…” some of you will mentally finish that sentence with “O-S-C-A-R.” If I were to say “Farfegnugen” some of you will know I’m talking about Volkswagen. If I say, “Melts in your mouth…” you’ll likely say, “...not in your hands,” and you’ll know I’m talking about M&Ms. So what about our hearts? We live in a very sentimental society and culture. We project our emotions onto other people, onto animated animal characters in Disney movies and to inanimate objects. But this is not what the Bible talks about when it talks about the heart. If we in fact desire to have God speak into our lives AND be able to recognize God’s voice, we need to 1) Know what our heart is and 2) keep it open for God’s speaking. Mark’s Gospel provides fertile ground for helping us know our hearts better. In the opening verses, the Contemporary English Bible translation vears off other translations in identifying the “...changing their hearts...” phrase. The Greek word, “kardia,” isn’t found in our Greek versions of this text. That can be a big concern when it comes to translations. So why use it? Because in this context, the heart is what is implied. For the Hebrews, the heart is THE CORE of our being and this it the change Johnt the Baptist is championing. For the there to be real change, it occurs in what the Hebrews understood to be our heart. The heart can be glad (Prv 27:11) or sad (Neh 2:2), troubled (2 kngs 6:11) or discouraged (Num 32:7), envious (Pro 23:17) or generous (2 Chr 13:3), fearful (Isa 35:4) or trustful (Pro 31:11). The heart can fail (Gen 42:28) or faint (Gen 45:26), be sick (Pro 13:12) or be broken (Ps 69:20) and of course, hate (Lev 19:17) or love (Deut 13:3) (from Interpreter’s Dictionary of the Bible, pg 549). Our thoughts, passions, desires, hopes, purposes and plans are found here, in our hearts. This is the preaching of John the Baptist. That so many were coming to hear his sermons and repent, it makes me wonder what the Pharisees had been preaching on all this time? For John the Baptist, his focus appears to be on the Kingdom of the False Self being transformed/redeemed by the Kingdom of God. Author and professor Ken Collins observes in his book “Soul Care” (which could be renamed “Heart Care”), preachers cannot faithfully preach “...the love of God without also calling for fundamental reform of the human heart... (pg40).” Our hearts are the core where God changes us, where God invites us to join in the work of kingdom building - in us so we might be for the world! So how do we keep our hearts open to hear God? To answer that, let me ask you a question in return: when do you make time to hear God? There is a quote often attributed to Mark Twain where he observes, “When I was a boy of fourteen, my father was so ignorant I could hardly stand to have the old man around. But when I got to be twenty-one, I was astonished at how much he had learned in seven years.” In most ways, this how we like to handle God, we presume to already know all God’s thoughts until we suddenly realize, we’ve never given God a place in our hearts to speak to us. If we truly desire to have open hearts to God, hearts willing and ready for God, then we need to listen to the wisdom of the saints not to our modern sychophants. Our hearts do not need to be haughty but to be humble. One of my spiritual mentors in recent years has been Roberta Bondi. Her writings and teachings point to the beginning of humility as the point where we abandoned our own pride and admit that “all human beings, themselves included, were weak and vulnerable (47, “To Love as God Loves”). Baptism is one of our two sacraments in the United Methodist Church, and both celebrate the change in our hearts and provide us an experience of grace where we can come to know that change personally. Further Thoughts: The transformation of the heart is a central tenet to Christian spirituality. For there to be healthy spiritual formation, spiritual directors, guides, pastors and teachers, must be honest about our own heart condition as we discern the Spirit of God's work in others. John Wesley's sermon, "The Circumcision of the Heart," is an excellent resource for continued reading. The importance of God's redemption and renewal of the heart ought notn be neglected in the work of spiritual formation. Excellent post, Ken, and excellent sermon yesterday! A minor detail: I think your Mark 1 quote is from the new Common English Bible, not from the Contemporary English Version (which I seem to remember started out a few decades back as Good News For Modern Man). Yep, you're right. Thanks for the correction!